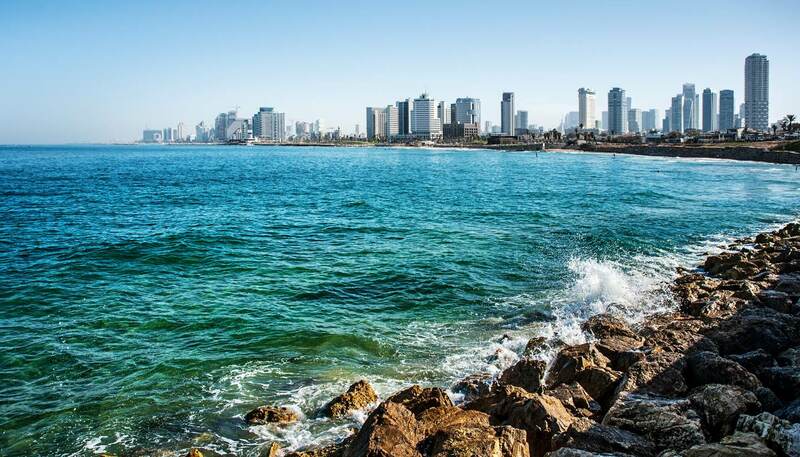 Tel Aviv is the party capital of the Middle East. The list of options is almost bewilderingly lengthy, with everything from kosher nightclubs to Georgian belly dancing bars on offer. Things get busy after Shabbat starts on Friday night, but Thursday is big too. Allenby Street and the Old Port are big spots for bars and clubs, Rothschild Avenue is home to sleek cocktail bars, while the Florentine neighbourhood has a laidback vibe. Most warm up after 0200, peaking around 0400. Hugely popular with locals, Bugsy is one of Tel Aviv’s coolest cocktail bars and boasts an intimate, relaxed atmosphere and live DJs. Seriously chic décor (think turquoise walls and dark wooden fittings) alongside a decent menu of light dishes make it a good spot to bed down for an evening. If you’re looking for a chic and classy drink close to City Center and the beach, Imperial Cocktail Bar is the place to go. Given it has been named as one of the fifty best bars in the world, you’ll need to make a reservation to get a seat. But with 200 different types of cocktails to choose from, you’re bound to find something you like—and if you go between 6 and 8, drinks are 50% off. A cross between a beach lounge and a sports bar, Mike’s Place has long been one of Tel Aviv’s most popular hangouts – an enthusiasm undented by a suicide bombing there in 2003. Now rebuilt and revamped, it remains a great place for a cheerful night out with stunning beach views. Telephone: +972 3 510 6392. Hugely popular with the locals, Anna Loulou charms with both its underground, alternative vibe and wide range of African and Middle Eastern music. Although it’s small and often crowded, the wall décor here is on point and there is room to chill or dance as the inspiration strikes you. An edgy underground spot beloved by students and local celebrities alike, Radio EPGB is a relatively new addition to Tel Aviv’s line-up of clubs that is fast becoming one of its most popular. Music leans towards electro and house, the décor is rock'n'roll in style, and the drinks are cheap. Telephone: +972 3 560 3636. A relaxed basement venue with top resident DJs, a great atmosphere, and some seriously good food as well. Fetish night draws the crowds for deep house. On Saturdays and Wednesdays, expect electronic and trance music as well as jazz and funk. As the largest concert hall in Tel Aviv, the Bronfman Auditorium, also known as the Culture Palace and as Heichal HaTarbut, is home to the Israel Philharmonic Orchestra. It also hosts visiting ensembles from all over the world. Formerly known as the Frederick Mann Auditorium, the 1950s-era building has undergone extensive renovations and reopened in May 2013. Telephone: +972 3 543 0777. For decades, fringe record store The Third Ear has been the beating drumsticks of Tel Aviv’s alternative scene. Since relocating, it’s apt that the Ozen Bar above it has become something of a musical mecca too. The focal point for local independent music, expect a host of cutting-edge Israeli bands throughout the week. Telephone: +972 3 621 5208. Offering jazz nightly, the intimate setting of Shablul regularly fills with as many musical connoisseurs as it does wine aficionados. Inside its cavernous candlelit belly, the stunning plonk list plays does second fiddle to some of Israel’s best jazz musicians, but will ensure you’re here when performances start around 2100. Book ahead. Telephone: +972 3 546 1891.